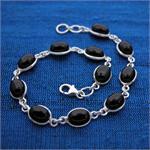 Wholesale silver bracelets in this section are of the highest quality. We guaranteed each wholesale silver bracelet on our site to be at least 92.5% silver, designating each piece to be "sterling." We use only authentic semiprecious stones in our wholesale silver bracelets. 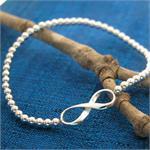 Ordering wholesale silver bracelets from indiasilver.com is easy. 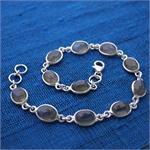 Your wholesale silver bracelet order will ship within 48 business hours of receipt. If you you are not completely satisfied with anything in your wholesale silver jewelry order, wholesale silver bracelets or other wholesale silver designs, simply send back part or all of your wholesale silver jewelry purchase and we will refund your money immediately, no questions asked!